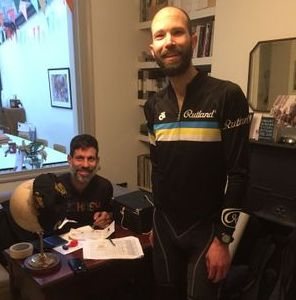 Over the last few years, Thomas Webb (Tom) has been riding a few Audax events, so hes decided to write a few words about them for other members who may be interested in doing the same. Audax is Latin for bold and is used to describe events run by long-distance cycling associations. In essence, Audax events are a bit like sportives, but without the crowds, food, entry fee etc. You get a route (either written turn by turn instructions or, increasingly, a .gpx track for your Garmin or similar), and usually cup of tea at the start and a well done at the end. You typically prove that you have ridden the route by getting stamps or receipts from designated shops and cafés, or answering questions about things that you pass on the route (e.g., the name of a pub). Audax events are not races (and indeed for many a few café stops are compulsory), but you need to finish within a maximum time (usually about 15kph average, including stops). There is a minimum time (usually 25kph average), but this is rarely a concern! The rides cover a range of distances, typically starting at 100km, but most are 200km (i.e., a ‘decent’ days ride). There are also longer events that will typically involve riding in the dark (e.g., 300km, 400km) and even events that (for most) involve finding somewhere to sleep on route (e.g., 600km, 1000km). 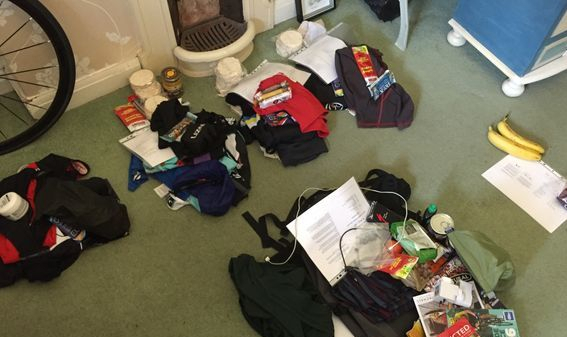 You need to be self-sufficient for all of the events (e.g., carry spares, clothing, food etc) as there is no back up (except public transport) and thus for the longer events especially you’ll need to find a way to carry a bit of kit. Most people go with a frame bag, pannier, or big seat pack, but I’ve also carried a small rucksack. All of the information that you need to get started, including a list of events, can be found here http://www.aukweb.net There are a good few ‘local’ events (e.g., around the Peak District, from Alfreton etc. ), but Audax events are also a good way to discover some unfamiliar roads in the knowledge that a fellow cyclist thinks they are a good place to ride. You can just ride an event, or you can put together a few events with a view to getting one of the numerous awards available. Perhaps the best known is the ‘super randonneur’ award, which involves riding a 200km, 300km, 400km, and 600km event in one year.